Wow! We sure like how this Monogram decal turned out! 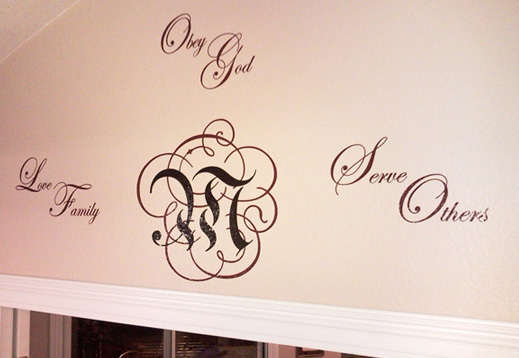 Monogram wall decals look great on your walls. Look at our other Expression, Quotes, & Monograms and see which one you would like as a vinyl wall decal!